Gary Kreider concentrates his practice in the areas of securities regulation compliance, public offerings, private offerings, mergers and acquisitions and business planning and formation. 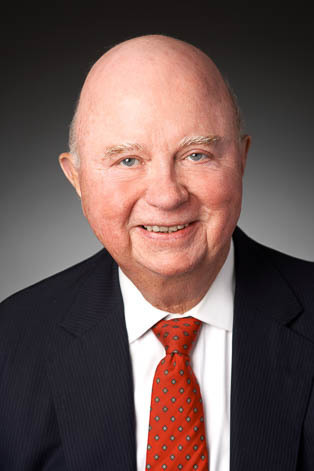 He has been an Adjunct Professor in securities regulation since 1977 at the University of Cincinnati College of Law and is past Chairman of the Corporation Law Committee of the Ohio State Bar Association. Gary lectures at various legal education conferences on securities, mergers and acquisitions and corporate law issues and is the author of published works on securities and corporate law. He has served as an arbitrator for the National Association of Securities Dealers, Inc., and is frequently called as an expert witness in corporate and securities cases. Handled IPOs for companies such as Cintas Corporation, Comair, Inc., Duramed Pharmaceuticals, Meridian Bioscience, Inc., LSI Industries Inc., Multi-Color Corporation, Exide Corp., Durakon Industries, Inc., Kendle International Inc. and Provident Financial Group, Inc. Numerous other public offerings for IPO clients and others such as American Financial Group, Chiquita Brands International, Inc, Standard Register, Meritage Hospitality Group Inc. and Hemagen Diagnostics, Inc. Chambers USA America's Leading Business Lawyers, 2010-2011 contained this statement: "Gary Kreider attracts clients with his 'phenomenal judgment.' His practice focuses on public company transactional and regulatory advice."